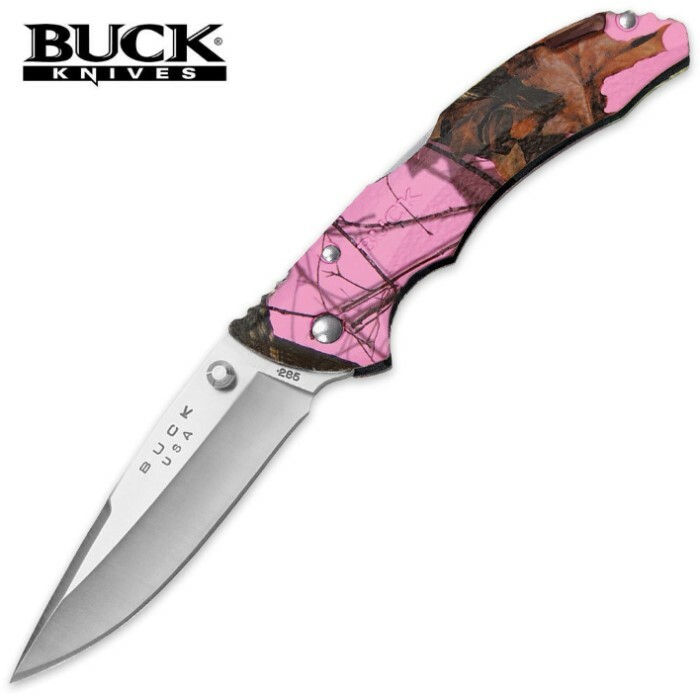 Buck Bantam BLW Mossy Oak Blaze Pink Camo Folding Pocket Knife | BUDK.com - Knives & Swords At The Lowest Prices! Offering a stylish, lightweight and compact design, Buck's Bantam collection is a long-time customer favorite among contemporary folding pocket knives. Featuring a razor-sharp high carbon steel drop point blade, this pretty-in-pink Buck Bantam BLW is completed by a Mossy Oak Blaze Pink Camo handle constructed of glass reinforced textured nylon. At 4 3/8" closed, this lock back folding pocket knife makes for an ideal every day carry.